Ordo Templi Orientis was founded before 1902 e.v. by Karl Kellner and Theodor Reuss (also known as Merlin) in Germany, with a principal mailing address in Lugano, Switzerland by 1917 e.v. 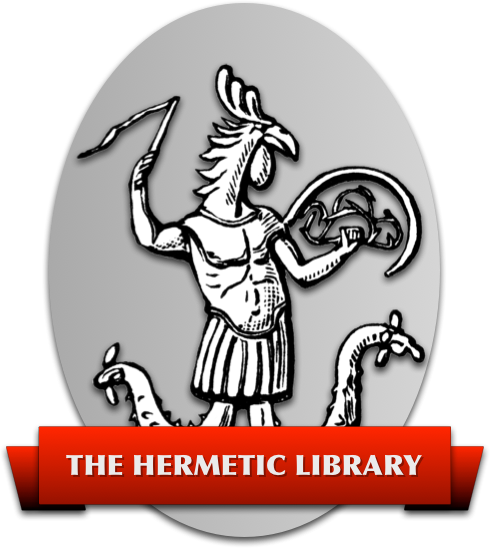 The immediate precursor organization was the Hermetic Brotherhood of Light, a mystical society founded in the mid 19th century, with branches in Europe and North America. Prior to the Hermetic Brotherhood of Light, O.T.O. “traditional” history includes the Weishaupt Illuminati of the late 18th century and the Crusading Order of Knights Templar of the 11th century as precursors. It must be pointed out that many other organizations also claim derivation from the Illuminati and 11th century Templars, without actual evidence. “Traditional” history is a euphemism for “mythology” in Masonic and mystical organizations; and, as such, “traditional” history expresses precursor relationships which are incapable of documentation and may be inaccurate. It is documented that O.T.O. sprang from the Hermetic Brotherhood of Light as the creation of Karl Kellner, a member of that fraternity. The Hermetic Brotherhood of Light continued independently of O.T.O., in its own right, and was still in existence in Oakland, California as late as 1970 e.v. In the first two decades of operation, Ordo Templi Orientis absorbed elements of other fraternal and occult societies into its teachings and structure. Some of these absorbed societies actually granted limited or full authority of operation to O.T.O., while others were either represented by an overlapping membership with O.T.O. or a “right to study” the educational secrets of the absorbed societies. In 1912, a list of such absorbed societies or bodies was published, including: The Gnostic Catholic Church, The Order of the Knights of the Holy Ghost, The Order of the Illuminati, The Order of the Temple, The Order of the Knights of St. John, The Order of the Knights of Malta, The Order of the Knights of the Holy Sepulchre, The Hidden Church of the Holy Grail, The Hermetic Brotherhood of Light, The Holy Order of Rose Croix of Heredom, The Order of the Holy Royal Arch of Enoch, The Antient and Primitive Rite of Masonry, The Rite of Memphis, The Rite of Mizraim, The Ancient and Accepted Scottish Rite of Masonry, The Swedenborgian Rite of Masonry, The Order of Martinists and the Order of the Sat Bhai. This list was not considered complete, but included most of those Masonic and knightly organizations that O.T.O. officers considered particularly important in the makeup of O.T.O. Ordo Templi Orientis under Theodor Reuss, Outer Head of the Order (O.H.O. ), was predominantly a Masonic organization, claiming ties with the Scottish Rite as its primary Masonic credential. This claim was disputed by some Scottish Rite Masonic bodies, and was abandoned by O.T.O. prior to 1922 e.v. The Masonic nature of O.T.O. down to the early 1920s e.v. was such that initiations to degrees in Scottish Rite Masonry were held to be equivalent to O.T.O. initiations. Scottish Rite and other Masons were granted membership in O.T.O. degrees by direct recognition of Masonic degrees already held. For such Masons to enter O.T.O. at a corresponding degree, it was only necessary for the O.T.O. Grand Lodge officers to issue a certificate of membership in O.T.O. at the degree in question and to record the new membership in the Golden Book. For non-Masons, a series of initiations into O.T.O. was required. These latter initiations were represented by O.T.O. to confer Scottish Rite degrees. In the early 1920s e.v., this practice effectively ended; and uniquely O.T.O. initiations were propagated within those portions of O.T.O. under the direction of Aleister Crowley. At that time the rituals of O.T.O. were rewritten by Aleister Crowley to prevent further difficulties through the rituals being too close to those of Craft and the Scottish Rite Masonry. Throughout the Reuss years (1902 e.v. to 1921 e.v. ), membership in O.T.O. was a matter of record. Annual dues billings were sent out to members within the National branches of O.T.O. The method of record was derived from Masonic procedures. A “Golden Book” was used to record the name, address and initiations of each member. The Golden Book was also used to record directives, constitutional amendments and procedures. The Reuss period Golden Book was sold by Reuss' widow, and not passed down to the next Head of the O.T.O. The practice used by Reuss from 1902 e.v. to 1921 e.v. in spreading the O.T.O. internationally was through appointment and chartering of National Heads. These individual O.T.O. members were accorded the rank of Xth Degree (except when representing a National Head in a developing area. In that instance the Degree of IXth Degree Viceroy was sometimes given). The Chartered Xth Degree National Heads were expected to conduct the business of the O.T.O. largely without intrusive supervision by the international body. Such National Heads were required to adhere to the 1906 e.v. and 1917 e.v. revised O.T.O. constitution and to maintain good records of the membership in their respective countries. National Golden Books were maintained. Dr. Gerard Encausse (also known as Papus) was the Head for France. Encaasse's portion of O.T.O. became ultimately known as “The Franco-Haitian O.T.O.”. Dr. Krumm Heller (known as Huiracocha) was Head of O.T.O. for Latin America, and his provincial portion of O.T.O. became known as Ordo Templi Orientis Antiqua, O.T.O.A. for short. Charles Stansfeld Jones (known as Achad) was head of O.T.O. in Canada, and attached his province to that of Aleister Crowley. Aleister Crowley (also known as Baphomet) had charge of O.T.O. in the British Isles, the United States and Canada (with the cooperation of Jones). Crowley used the name “Mysteria Mystica Maxima” to describe the lower Degrees of his O.T.O. province, but used “Ordo Templi Orientis” as the over-all name. There were other Reuss era O.T.O. provinces in several European countries and in Brazil. Crowley chartered O.T.O. provinces in South Africa and in Australia. Without exception, all such national forms of O.T.O. were chartered, documented and recorded by the issuing O.T.O. authority. Secondary chartering was also documented, e.g. AMORC, the San Jose, California based Rosicrucian organization, had a 1921 e.v. “Gage of Amity” document from O.T.O. to their founder, H.S.Lewis, a VIIth Degree O.T.O. member. Theodor Reuss became ill and resigned as Head of the O.T.O. in 1921 e.v., dying in the next year. Aleister Crowley was the designated successor to the Headship of the international O.T.O., and he was ultimately confirmed in that status by Xth Degree National Heads. Crowley served as the Outer Head of the Order from 1922 e.v. until his death in December of 1947 e.v.. Some National O.T.O. provinces were not initially willing to accept Aleister Crowley as O.H.O. of O.T.O., owing to his insistence on the alignment of the predominant religious expression of O.T.O. to Thelema, a religion based on Crowley's revelation of “The Book of the Law” in 1904 e.v., in Egypt. This work is also called “Liber AL vel Legis”, and forms the primary religious focus of O.T.O. today. A portion of the German O.T.O. resigned en masse and reconstituted itself as an entirely separate organization called Fraternitas Saturni. Fraternitas Saturni continues to the present day, in Germany, and does not represent itself as being O.T.O. Aleister Crowley continued the practices of Theodor Reuss, recording membership via the Golden Book and issuing charters. Agape Lodge #1 had been established in 1912 e.v. in Canada, and was under Jones, under Crowley. In the 1930s e.v., Wilfred Smith (also known as Ramaka) came down from Vancouver, B.C., Canada, on instructions from Crowley to establish Agape Lodge #2 in Southern California. Agape Lodge #2 held its first meeting in 1935 e.v., in the vicinity of Pasadena, California. World War II broke out, and international communications became increasingly disrupted. Civilian travel was limited; and Crowley became very dependent on foreign representatives, being unable to travel himself. Karl Germer (also known as Saturnus), Crowley's German representative, was arrested by the German Geheime Staatspolizei (GESTAPO) and confined in a Nazi concentration camp for “Seeking students for the foreign resident, high grade Freemason, Crowley”. Germer's warrant of arrest survives to this day, and he was released early in the War through the efforts of the American Counsel. Germer traveled ultimately to the United States, where, as Grand Treasurer General and Crowley's second in command, he conducted much of the business of the O.T.O. The other European branches of O.T.O. were destroyed or driven underground during the War. The South American branches maintained a light contact with Germer until the early 1960s e.v..
By the end of the IInd World War, only Agape Lodge in Pasadena, California was still functioning. There were isolated O.T.O. initiates in several parts of the World; and, in England, Crowley received visits from O.T.O. members. No Lodge work was conducted in England at that time, and initiations were very rare outside of California. The South American O.T.O.A. held no initiations; and sent a candidate, Dr. Montenegro, up to California for initiation. During the IInd World War, two Californian O.T.O. members traveled to Europe on military assignments, Grady Louis McMurtry (also known as Hymenaeus Alpha) and Frederic Mellinger. McMurtry went earlier and visited Aleister Crowley on several occasions while on leave. At that time, Crowley made McMurtry a IXth Degree O.T.O. member, duly documented, and ultimately made McMurtry the chief O.T.O. officer in charge of O.T.O. work in California and the United States, under Karl Germer. Crowley also notified McMurtry that Germer was to be Crowley's successor as Head of O.T.O., but that McMurtry should hold himself prepared to succeed Germer. Mellinger visited Crowley after McMurtry was rotated back to the United States. Although Crowley did ask Mellinger to hold himself ready as a possible successor to Germer, Mellinger did not receive any assignments of the kind given to McMurtry. Crowley died in December of 1947 e.v. ; and in accord with his wishes Karl Germer became International Head of O.T.O., serving from late 1947 e.v. until Germer's death in 1962 e.v. Agape Lodge continued in Southern California until 1949 e.v., after which the Lodge ceased to hold regular meetings. The records of Agape Lodge were conserved and comprise minutes of meetings, lists of members initiated to various degrees in O.T.O. and financial records. Under Karl Germer, the O.T.O. entered a period of relative dormancy. The only initiations from the later Germer period were promotions to higher degree for members initiated earlier. Germer notified McMurtry and others that O.T.O. was to be incorporated and governed by a triumvirate of officers, but this incorporation was never accomplished under Germer's headship of O.T.O. Germer did charter a group in England under Kenneth Grant; but Germer closed the new group in England and expelled Grant from O.T.O. membership in a letter which has survived. Germer also took an interest in the efforts of Herman Metzger in Switzerland, and took steps to regularize Metzger into Crowley's O.T.O. Metzger was thought to have come from a post war survival of the earlier Reuss period, but had no original connection with Crowley's O.T.O. Germer and Metzger fell into disagreement toward the end of Germer's life. Frederic Mellinger wrote after Germer's death that Metzger had failed to satisfy the program of instruction set forth for Metzger by Germer under Mellinger's tutelage. Metzger has not engaged in O.T.O. activity either directly or indirectly in the United States. O.T.O. members in California actively sought to influence Germer to reopen public access to O.T.O. Concern was expressed in correspondence that a failure to initiate new O.T.O. members would result in the ultimate demise of O.T.O. Grady McMurtry, the USA national master of O.T.O., attempted to convince Germer of the necessity of returning O.T.O. to public activity. Germer authorized McMurtry to form a nucleus of new O.T.O. public access. Germer and McMurtry had a falling out over a personal loan; and McMurtry traveled to Washington, DC to take a job with the US Government until bad feeling with Germer could subside. Germer did not expel McMurtry or revoke McMurtry's charters from Crowley. Following Karl Germer's death in 1962 e.v., several years passed before the question of succession to Head of the O.T.O. was properly addressed. Metzger in Switzerland published a claim to being the Head of the Order, but this claim was based on an unnoticed election represented to have been held in Switzerland. Ranking members of O.T.O. were not informed of Metzger's purported election until after the alleged fact. Metzger was not generally accepted as Head of the Order outside his own group. Kenneth Grant also asserted a claim to being Head of the O.T.O., but this was done after Germer had expelled Grant from membership. In later years, Marcello Motta, a former student of Karl Germer, also asserted that he was Head of O.T.O. Germer had died without designating a successor; and some ranking members, including Grady McMurtry, were not notified of his death for several years. Following disclosure of a robbery of O.T.O. archives from the home of Sascha Germer, Soror Meral, a member of O.T.O., contacted Grady McMurtry at his Washington, D.C. address. McMurtry learned at that time of the death of Germer, years before, and of the theft of archives. McMurtry came to California in his capacities as an Inspector General of O.T.O., as the chartered Head of the USA O.T.O. operations, and as a concerned member. An investigation was conducted by McMurtry of the archival robbery and of other library burglaries that occurred around that time. McMurtry was not able to recover the missing materials. In 1969 e.v., surviving O.T.O. members from the Germer and Crowley years were invited to join with McMurtry resuming regular operations of O.T.O. Members Sr. Meral, Sr. Grimaud, M. Burlingame and Montenegro indicated willingness to see the O.T.O. accessible to the general public. At that time there were less than a dozen surviving O.T.O. members in the United States. Ray Burlingame had died some years before, and Dr. Montenegro died before an organizational meeting could be held. On 12/28/71, the Ordo Templi Orientis Association was registered with the State of California to form a legal entity for O.T.O. This Association included members of Agape Lodge #2, from the Crowley and Germer period. Grady McMurtry produced his letters of charter, and assumed the title “Caliph of O.T.O.”, as specified in Crowley's letters to McMurtry from the 1940s e.v. Sascha Germer died in the mid 1970s e.v., and the O.T.O. Association under McMurtry obtained a court order for delivery of the remnant of the O.T.O. archives that had been in her custodianship. This order was issued in the Superior Court in Calaveras County, California, and filed July 27th, 1976 e.v. Under McMurtry, as Caliph or acting Head of O.T.O., several attempts were made to attract new members to O.T.O. A few new members were initiated through efforts centered in Dublin, California at The College of Thelema and in San Francisco at the Kaaba Clerk House. The San Francisco activity collapsed, and a new member resigned. Some years later, a person who was a visitor at the San Francisco location began representing himself as the Head of O.T.O. This person was not an initiated member. The Dublin California O.T.O. center ceased to be a major focus of O.T.O. activity. In 1977 e.v., McMurtry held O.T.O. initiations at his home in Berkeley, California. A group formed at that new location, a newsletter was published and ultimately the O.T.O. Association was converted into a corporation. O.T.O. was incorporated under the laws of the State of California on March 26th, 1979 e.v. Persons who had claimed in print to be O.T.O. members or who were known to be former members were notified of the formation of the corporation, and given a period of time to file a claim to continued membership, according to a precedent established earlier by Karl Germer. The corporation attained 501©3 Federal Tax exemption as a religious entity in 1982 e.v., and presently includes over 1, 600 active members, worldwide. During the period from 1962 e.v. (death of Karl Germer) to the present, a number of occult membership societies have arisen. Because of wide interest in the writings of Aleister Crowley since those writings had been reprinted in the late 1960s e.v. and early 1970s e.v., many of these new societies styled themselves to a greater or lesser extent after Crowley's ideas and the model of O.T.O. Some individuals and some of these societies have confused the Thelemic religion with the name Ordo Templi Orientis, possibly because many of Crowley's writings on Thelema have been published under the auspices and with the marks of O.T.O. One common practice has been the formulation of names for new occult societies with acronyms similar to O.T.O, e.g. O.T.A. for Ordo Templi Astarte, O.T.B. for Ordo Templi Baphe-metis. The titles of Crowley and O.T.O. works and periodicals have also been used by some of these individuals and groups, e.g. O.T.B. has published “The Aurea Flamma” where O.T.O. had used the name “Oriflamme” for a publication. Some disturbed individuals wrote to O.T.O. from mental hospitals, asserting that they were the true Head of O.T.O. A significant number of individuals wrote to tell O.T.O. that they were the reincarnation of Aleister Crowley, and that O.T.O. was remiss in not accepting the reincarnation of Aleister Crowley as its leader. Some wrote to other people, asserting similar claims and making unauthorized use of the name and symbols of O.T.O. Several individuals wrote to O.T.O. asserting that they had received further revelation of additional material to Crowley's “Liber AL vel Legis”, e.g. James Beck (also known as Jimmi Rocket) of Oregon. This category of correspondents also made occasional unauthorized use of the symbols and name of O.T.O. Authors speculated about the “Real Head of O.T.O.”, notably Francis King of England, who wrote several books supporting different claimants over an extended period. A few authors published under fictitious titles and honors copied from O.T.O. history, e.g. Geoff Smith, of England, in his “Knights of the Solar Cross” and several authors in “The Oriflamme” out of New York in 1975 e.v. and 1976 e.v. Where addresses were available, O.T.O. wrote letters to the more outspoken of these individuals and groups, requesting that they cease and desist representing themselves as O.T.O. These strange representations have greatly diminished in the last five years as knowledge of the survival of O.T.O. has spread, but new instances continue to occur a few times a year. Aside from individuals and groups representing themselves as O.T.O. based only on the reading of published books, a number of instances occurred of a different character. A former member of O.T.O., Kenneth Grant of England, attracted adherents in the United States. The “Grant O.T.O.” people alleged that O.T.O. had ceased to be a membership organization in its traditional sense of having Lodges. Grant's adherents occasionally publish newsletters in the name of O.T.O. and in support of Grant's claim to being the Head of O.T.O. Grant's people also assert that O.T.O. should not have legal existence in the sense of incorporation or legal association. Kenneth Grant's representative in the USA has been changed an unknown number of times. Grant asserts that Karl Germer was acting improperly when Germer expelled Grant from O.T.O. in the 1950s e.v., and that Grant never recognized Germer as paramount in O.T.O. This assertion is flatly contradicted by Grant's own “Manifesto of New Isis Lodge”: “New Isis Lodge is in accord with the Master Therion (a Past Grand Master of O.T.O. ); with the present Master S∴, who is World-Head of O.T.O. in the Outer, and who operates in the United States of America; and with the aforementioned Lodge in Germany controlled by the Master G∴”, p. 6, (S∴ = Frater Saturnus, Karl Germer). Some former adherents of Grant have become estranged from him and have asserted that they are independent O.T.O. leaders on their own. More substantial efforts were made to assume control of O.T.O. by Marcello Motta under the name “Society Ordo Templi Orientis”. Mr. Motta was a personal student of Karl Germer for a number of years. After Germer's death, Motta formed a group in his native country of Brazil. Motta at first recognized Kenneth Grant as Head of O.T.O., but rescinded this recognition on learning of the Germer expulsion of Grant. Motta published various claims to O.T.O. rank and membership in works titled “Equinox Volume V” and “Oriflamme”, periodical names associated with O.T.O. from the Crowley period. Motta caused several people to file S.O.T.O. corporation papers in the United States. He was represented by individuals in England, Brazil and Australia. The representative of S.O.T.O. for the USA was located in Tennessee, and changed several times. Motta came to the United States; and matters were brought to a head with his suit against Samuel Weiser, Inc., a publisher of Crowley's works. Motta sued Weiser for copyright and trademark infringement, maintaining that Motta represented Crowley's O.T.O. This case was decided in the US District Court in Maine. Motta lost the case, and the Judge found that Motta's representations regarding O.T.O. did not meet the test of legal existence. During the proceedings in Maine, the O.T.O. under McMurtry served Motta with a suit ultimately heard in the 9th Federal District Court in San Francisco. The San Francisco case was concluded in 1985 e.v., with Motta again losing. The O.T.O. under McMurtry was recognized by the Court to be the continuation of the O.T.O. of Aleister Crowley and the exclusive owner of the names, trademarks, copyrights and other assets of O.T.O. McMurtry was found to be the Outer Head of O.T.O. within the United States. The 9th District decision also recognized the McMurtry O.T.O. as a legal membership entity. This decision was appealed and upheld. Grady McMurtry died following the original decision of the 9th District Court, but the process of appeal established that O.T.O. continued as a corporation. Following the death of Grady McMurtry, I assumed custodial interim control of Ordo Templi Orientis in accord with the Bylaws, with the agreement of the remaining principal officer, Brother A. I., Grand Secretary General, and with the agreement of the Board of Directors. I proceeded to order an election for the Headship of the O.T.O. Corporation and the position of acting Head of O.T.O. This election took place two months after the death of Grady McMurtry, with all voting members of O.T.O. present. A new Caliph was elected and became acting Head of O.T.O. in September of 1985 e.v. This officer took the name “Hymenaeus Beta”, and continues in office to this day. I remain Grand Treasurer General of O.T.O., an office I have held since the 1979 e.v. incorporation, without interruption. Find the serialized version of this document in the Thelema Lodge Calendar beginning at source. This is pretty dated. Fr. Sabazius has a revised and extended version on the U.S. Grand Lodge, O.T.O. site.